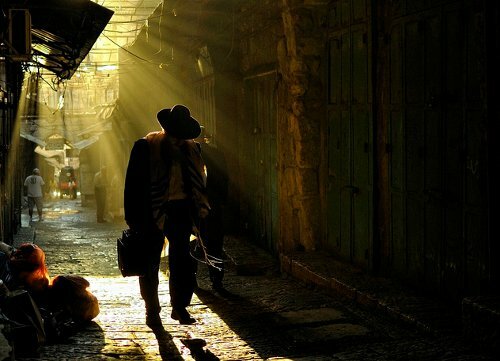 Belief in the eventual coming of the mashiach is a basic and fundamental part of traditional Judaism. It is part of Rambam’s 13 Principles of Faith, the minimum requirements of Jewish belief. In the Shemoneh Esrei prayer, recited three times daily, we pray for all of the elements of the coming of the mashiach: ingathering of the exiles; restoration of the religious courts of justice; an end of wickedness, sin and heresy; reward to the righteous; rebuilding of Jerusalem; restoration of the line of King David; and restoration of Temple service. The Jewish people are compared to the stars twinkling in the high heavens. By their light, even he who walks in the darkness of night shall not blunder. Every Jew, man or woman, possesses enough moral and spiritual strength to influence friends and acquaintances, and bring them into the light. A few days ago, I wrote a blog post called A Quick View of Revelation Through a Christian Lens, which presented what I thought was a traditional fundamentalist Christian viewpoint of the Book of Revelation and the “end times.” It turned out to be one of my more popular blog posts and I hope laid the groundwork for further investigations into this area of study. I want to be fair, and since I’m searching for a more Jewish understanding of this topic, I thought the next step should be for me to offer the opposite side of the coin: to show a portrait of a wholly and non-Messianic Jewish perspective on the coming of Moshiach. What would a distillation of the Jewish prophesies about Messiah taken just from the Tanakh (Old Testament) look like? Fortunately a few days ago, one fell quite conveniently in my lap. The real Jewish messiah appears on the scene. He’s not Jesus, but a virtuous and devout Jewish man who is able to unite all Jews, a scholar and wise military leader. The nations of the world hate and oppose him and work against him, as they’ve done to every Jewish leader in Israel’s history. He’s nothing like what they expected to see – not the glorious all-powerful heavenly Jesus. He regathers the rest of the Jews from all around the world. Many wars against Israel break out, but the Messiah leads Israel in defeating their many enemies and in rebuilding the Third and final Temple. True prophets once again appear in Israel and they are able to recognize the lineage of all Jews, including of priests, Levites and especially that of the Messiah himself, with many Jews recognizing their leader as the awaited Messiah. Christians, however, almost unanimously speak against him, brand him the “antichrist” of their bible, preaching fiery sermons in their churches against the “antichrist” and against the Jews who fell “under his spell just as Jesus, Paul and John predicted”. No Christian may believe in him, or they risk losing their salvation. Jews are ridiculed and the New Testament is held up as having predicted everything the Jews will do. Muslims, who along with Christians likewise believe that Jesus is the Messiah and that no one else fits the bill, also reject the kingship of the Jewish Messiah and join with the Western world in their opposition to him and the nation of Israel. Finally, all nations gather against Israel for the ultimate conflagration, attacking Jerusalem and causing much damage. The war against Israel appears to be won and situation is hopeless. However, G-d himself intervenes, and sends his fire on earth and destroys the armies of “G-g and Magog and all the cohorts.” The weakest in Israel chases away thousands. The nations of the world are humbled, they are in awe of what G-d has done for Israel, of His salvation. The idols of the nations which do not save (including Jesus) are destroyed, are put away for good and are remembered no more. All false prophets and idol worshipers will be ashamed, they will realize that they inherited nothing but lies from their forefathers. The earth will be finally at peace. 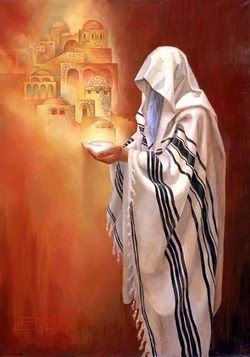 G-d raises all the righteous dead and all peoples of the earth are required to come to Jerusalem to worship Hashem in his Temple. The true Messiah of Israel (which could be the resurrected king David himself) will fear G-d, rule justly and will forever reign as prince/king over the Jewish people. (I just want to mention that although Islam considers Jesus a prophet, they do not see him as their “Messiah.” Rather, the Mahdi is the redeemer of Islam). Just about all Christians and not a few Hebrew Roots and Messianic Jewish adherents are bound to find the above rendition of the coming of Messiah disturbing. The Jewish Messiah is treated by Christians as the “antichrist” because he’s “too Jewish” and fits the description of Moshiach in Jewish understanding too closely. The Church is waiting for someone who never comes, waiting for a rapture up to Heaven that never occurs. In the end, Christianity becomes just another enemy of Judaism and Israel that God defeats. Humiliated, Christians all over the world discover that they’ve been following a false god all along, and either they surrender their “faith” and pay homage the true King of Israel and worship Israel’s God, or they remain defiant, and continue to pray for a Jesus who never existed and who will never answer. That’s a horrible thought. Here’s a worse one. The above summary, at least on the surface, seems to fit quite well with what we understand of the Messianic prophesies in the Tanakh. That is, if we don’t factor in the New Testament, this summary seems to connect almost seamlessly with the words of the ancient Jewish prophets about the coming Moshiach. You don’t have to worry about the distinctions between the raptured Church and resurrected Israelites because no such dissonance exists. It’s all about Israel. Period. Interestingly enough, this isn’t tremendously far from what I’ve been trying to find in Messianic Judaism, a completely Jewish Messiah King whose focus is first and foremost on national Israel and the Jewish people. From this focus, the people of the rest of the world receive blessings, but ultimately it’s all about Israel. Period. If there isn’t a “happy meeting place” between the ancient portrait of the Jewish Messiah King who has yet to come and the promise of a resurrected Yeshua who will come again, then either New Testament Christians must be ready to admit that there is a very fuzzy connection between the Old Testament prophesies of Messiah and how the New Testament describes Jesus, or we have to take a whole new look at the Messianic prophesies in the Tanakh and see who we are really supposed to be waiting for. This isn’t going to be easy, especially when I’m tossing aside the Church’s assumptions and traditions that make it possible to reconcile what doesn’t seem to fit very well, and re-examine the identity of Messiah and his redemptive mission at its core. I know in my previous blog post, I received a large number of responses explaining the problems with some of the Christian assumptions about the return of Jesus. I’m hoping a similar reaction will be forthcoming, discussing the Jewish viewpoint of Moshiach and how (or if) a Jewish perspective can factor in and make it understandable that Jesus is the same Messiah we find in the Old and New Testaments. never again will they learn war. Who is the Messiah who will redeem Israel, gather in her exiles, restore tranquility within her borders, vanquish her enemies, rebuild the Temple, and establish a rule of peace and justice over the entire world? Is it the man we see described by such prophets as Isaiah, Jeremiah, Ezekiel, Hosea, and Micah? Or is it the Son of God who we encounter in Matthew, Mark, Luke, and John, the one spoken of by the apostle Paul as he established the churches of the Gentiles, and the one who we find in all majesty and glory within the pages of Revelation? Or somehow, is it both? But according to the traditional Jewish description of the end times, the real Messiah will be Jewish, accepted by the Jewish people, but be rejected by Christians as the “anti-Christ” or “anti-Messiah”, which is really just two different ways of saying the same thing. That is what I mean… The anti-Messiah must be Jewish. 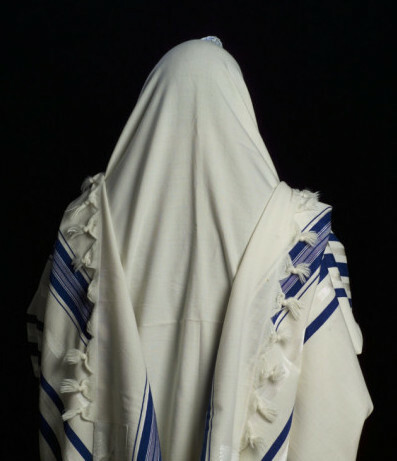 Otherwise, Jewish people won’t accept him… On mainstream evangelical Christianity, the anti-Christ could be anyone… but to be accepted by the Jewish people as their long waited Messiah, this man of sin has to show himself as a Jew. This man, will be able to bring peace to Jerusalem. This peace will mean a truce with Muslims, in order to be able to construct the third Temple besides or even removing the Dome of the Rock from its place. Having all Jewish people reunited in one only place (do you know any Jewish person that won’t sell all his/her possessions in order to be there, at Yom Kippur in the newly reconstructed third Temple? ), HaSatan will have his perfect opportunity to destroy Israel. “For when they shall say, Peace and safety; then sudden destruction cometh upon them, as travail upon a woman with child; and they shall not escape.” 1Th 5:3 Just as they are about to be destroyed, they will call for Salvation : Yeshua !!! Yeshua !!! Yeshua !!! My quick response is that the prophesied Jewish Messiah and Yeshua are one and the same, but Christianity has distorted Jesus so He no longer looks Jewish at all. When He is once more properly described the reconciliation between the prophets’ depiction and those of the gospel authors is readily achieved. One part of this reconciliation is the recognition of the central role of literal, physical Israel, its land and people, in the end times narrative. Israel is central, gentile believers are part of the commonwealth of Israel, an extended community or family, where the gentiles remain gentile and don’t take over leadership from Israel, nor supersede it in any way. Well, one problem with the Jewish portrait you’ve tried to portray is that it is only a partial portrayal of the Messianic prophecies, which neglects the suffering servant who is identified in Jewish tradition as the “ben-Yosef” Messiah; and it fails also to address Zech.12 in which the Jewish nation mourns for one like a firstborn son who was pierced for their (our) transgressions, whose hands were wounded in the house of his friends (I’ve conflated a few other prophecies into this one, but the references are fairly well recognized). I think both traditional Judaism and traditional Christianity are guilty of “selective reading” of the scriptures where Messiah is concerned. What I’m ultimately seeking is everything the Bible has to say about Messiah as viewed through its Jewish contextual lens. According to my source, the prophecies about “piercing,” taken in their context, talk about false prophets. I don’t know if I want to start another conversation about whether or not Biblical prophecies prove or disprove Jesus as Messiah, but it seems inevitable that once we start talking about what the prophets say about the Messianic age, we’ll move into this territory. Yes, Zech.13 discusses prophets accused of lying, and apparently it will not be uncommon for them to suffer “piercing” at the hands of friends and close relatives. However, the subject of Zech.12:10 is HaShem to Whom they will look, Who is the direct object of the phrase saying that they have pierced Him (using the same exact verb). It may be stretching the point to suggest that they may ask the same question of the subject over Whom they are mourning in Zech.12, but it is neither unreasonable to do so nor is it required as any sort of proof. It is merely a curious coincidence with events in Rav Yeshua’s experience, because he was, in fact, wounded within beit Yisrael which is metaphorically comparable to the “house of my friends” imagery. Moreover, have we not seen Rav Yeshua deemed a false prophet? Consequently, kal v’homer, the behavior in Zech.13 is easily extrapolated to one whom HaShem did send truly who was nonetheless falsely accused. Prophecy does not provide us with a prescription or proofs; it gives us hints which require midrashic flexibility to interpret in order to recognize parallels and similitude. Incidentally, Zech.13 is the only prophecy where piercing is related to false prophets. Ps.22:16 and Is.53:5 (and Zech.12:10) use the term quite otherwise. Here is one major key: The Mashiach will be Torah Observant! We know from the new Testament that the false prophet and/or false messiah will speak abominable things against God Most High… Like, ‘I did away with the Law.’ and ‘When I said love your neighbor as yourself, I meant all kinds of love…’ etc… Turning all or parts of the Torah on its ear. Many Christians will fall for that and, if times are desperate enough, many Jews will too. Deut. 13 still applies. The True Mashiach will be one like unto Moshe. And most will again reject Him because that is not what they are looking for!! The Mashiach is not coming until late in the tribulation. The adversary will have his day, and he will put forth an ‘angel of light.’ We don’t watch what he says so much as what he does… If he speaks against the Torah that is a dead give away! Two awesome books: Marvin Rosenthal’s http://www.amazon.com/Prewrath-Rapture-Church-Marvin-Rosenthal/dp/0840731604/ref=sr_1_1?ie=UTF8&qid=1381702632&sr=8-1&keywords=marvin+rosenthal and Van Kampen’s http://www.amazon.com/The-Rapture-Question-Answered-Simple/dp/0800756312/ref=sr_1_5?ie=UTF8&qid=1381702632&sr=8-5&keywords=marvin+rosenthal HIGHLY recommended. Thanks for the comments Pete and PL. Had a very stimulating conversation with a friend over coffee this afternoon, which included Ezekiel and the Messiah. Ok. What is the MAIN objective of the Anti-Messiah? What does he REALLY WANT to accomplish? What is the ULTIMATE GOAL that he wishes to achieve? It’s great to get a sampling of source texts without much commentary (and in English). Expensive book (if you can get it), but so worth it for this kind of investigation. Ah, another book. Thanks for the recommendation, Andrew. I’ll have a look when I get a minute.